PeopleCheck Start Date: July 2013 (5 years, 4 months). Emmah commenced her background checking career with PeopleCheck in 2013 as a Business Support Assistant, and now holds the important role of Manager of Internal Services, where she oversees a team responsible for supporting our clients as well as PeopleCheck’s internal teams. Daily operations for Emmah vary greatly as she is well versed in most areas of PeopleCheck – from office management, administration and reception functions through to supervising Accounts and the Technology and Security Team. Internally, Emmah is the go-to team member that can assist you with any query and is always happy to help. Externally, Emmah’s main client-facing role is in supporting our clients as they use our candidate and client management system, PRIVI (PeopleCheck Research Investigation Validation Interface). This begins from their commencement as a client in establishing and customising their account, setting up users, providing training and customisation to any specific requirements they may have; and continues throughout their life as a PeopleCheck client to ensure their account reflects best practice. Emmah is also responsible for troubleshooting technical issues and working on enhancements associated with PRIVI, providing clients with updates as necessary. On a day-to-day basis, Emmah and her team acts as helpdesk support to PeopleCheck staff and management for all IT-related concerns, where she coordinates and escalates issues to PeopleCheck’s external IT support. Emmah also coordinates training for general staff on IT issues or other matters to improve efficiencies. One of Emmah’s key achievements to date involves “mastering” the back-end of PRIVI with regards to the customisation and branding of client accounts. Emma’s current studies towards her Diploma in Graphic Design has developed in her a “design thinking” to help improve our PRIVI platform. She works closely with the Internal Services Group Senior Manager to make adjustments and improvements to the overall design and user experience. This has resulted in positive feedback from our clients and candidates as they find the system easier to navigate. As a key contact within PeopleCheck’s Accounts Team, Emmah also assists with client queries and helps to maintain PeopleCheck’s streamlined invoicing process. 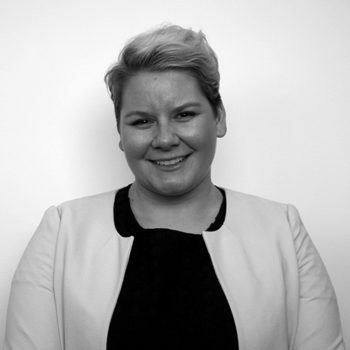 Emmah has worked in Administration and Support roles during her career and the extensive experience she has gained from previous roles, her time with PeopleCheck, and now her Diploma in Business Administration which she is currently completing, makes her invaluable to the PeopleCheck team.